Born in 1751, the youngest of twelve children, Clement was six years old when his father died. His great desire was to become a priest, but since his family was unable to give him the necessary education, he became a baker's assistant, devoting all his spare time to study. He was a servant in the Premonstratensian monastery of Bruck from 1771 to 1775, then lived for some time as a hermit. He made three pilgrimages to Rome, and during the third, accompanied by a good friend, he entered with the same friend the Redemptorist novitiate at San Giuliano. The two were professed in 1785 and ordained a few days later. 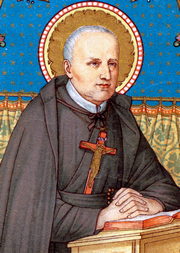 The two priests were sent in the same year to found a house north of the Alps, and Saint Alphonsus, Founder of the Redemptorist Order, prophesied their success. They were granted a church in Warsaw by King Stanislaus Poniatowski, and labored under incredible difficulties from 1786 to 1808. A larger church was also reserved for them, where daily instructions were given for non-Catholics. Saint Clement also founded in Warsaw an orphanage and a school for boys. His great friend, Thaddeus Habul, died in 1807; the following year four houses founded by Saint Clement were suppressed and the Redemptorists expelled from the Grand Duchy. Saint Clement went with one companion to Vienna, where for the last twelve years of his life he acted as chaplain and director at an Ursuline convent. There he exercised a veritable apostolate among all classes in the capital. He devoted himself in a special way to the conversion and formation of young men. When he died in 1821, Pius VII said, Religion in Austria has lost its chief support. The Catholic Encyclopedia, edited by C. G. Herbermann with numerous collaborators (Appleton Company: New York, 1908). Freely you have received, freely give.